Massif Visualizer is a visualiser for output generated by Valgrind’s massif tool. 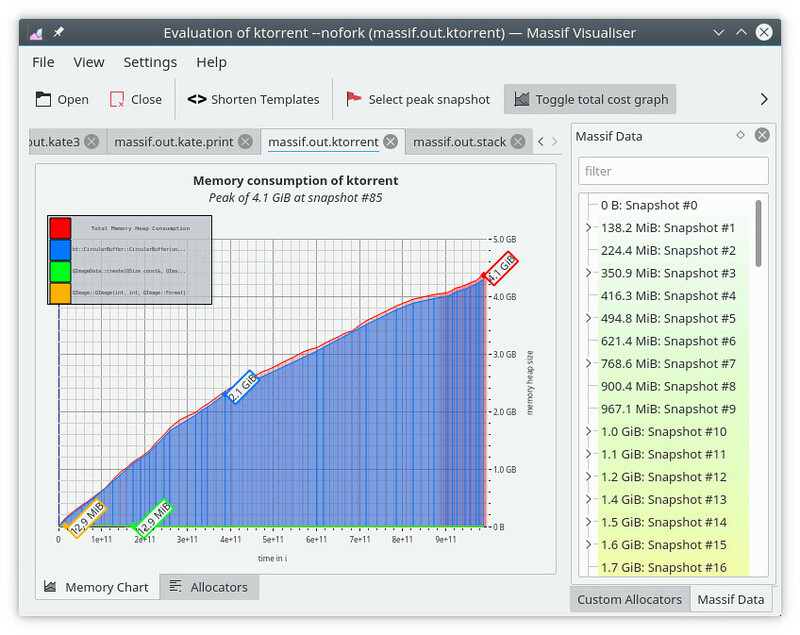 It shows you graphs which measure how much heap memory your program uses. It has an optional dependency on KGraphViewer which is due for a release shortly.